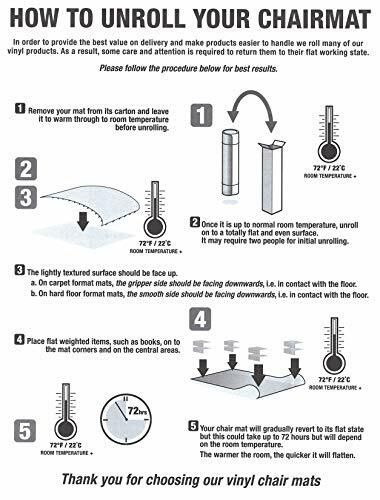 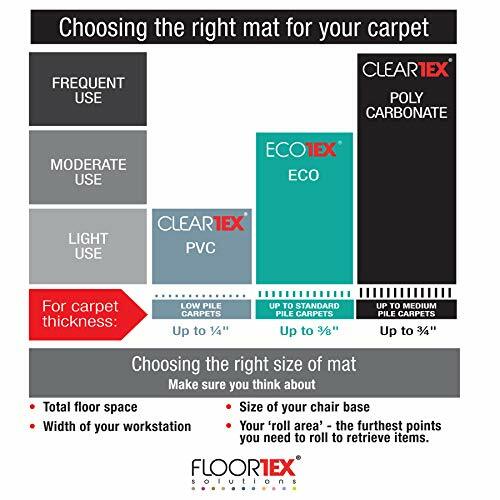 Cleartex Ultimat chair mat is the ultimate in quality and durability. 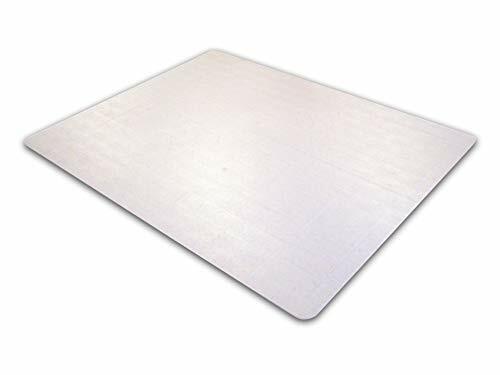 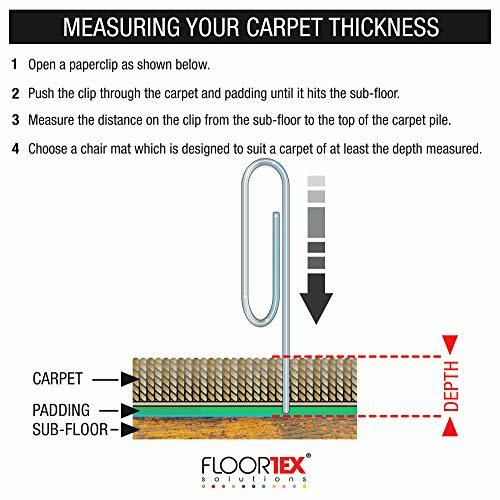 This clear rectangular mat for longer, plush pile carpet flooring is made from sturdy polycarbonate, which has double the strength of PVC – and the added benefits that it won’t scratch, crack, buckle, curl at the edges, or discolor and it has no odor. 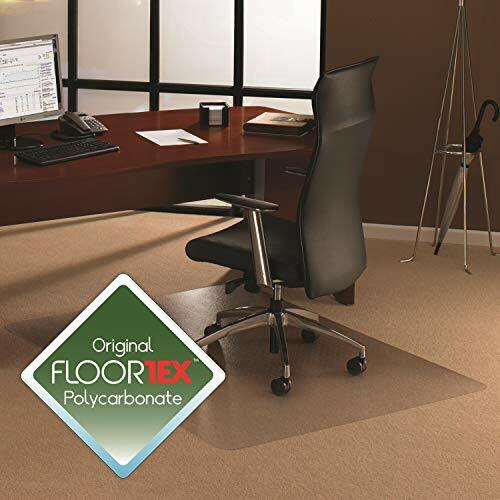 The Ultimat has ergonomic benefits for chair users and allows an easy glide movement which can reduce leg fatigue. 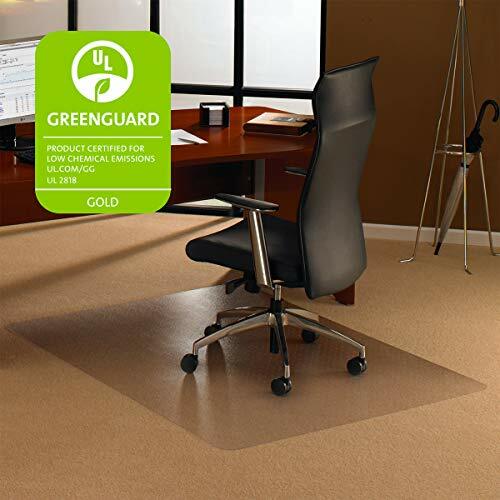 Ultimat is environmentally safe, free from PVC and free from toxic chemicals, is 100% recyclable and is a good choice for people with allergies. 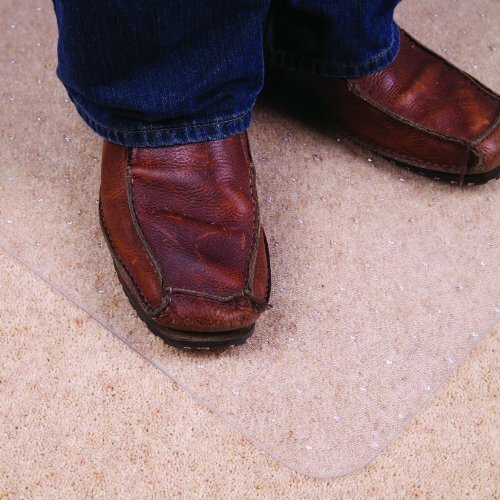 Cleartex polycarbonate mats lie perfectly flat and can be used immediately.